Visual Design makes me very happy. I find beauty in minimali sm and passionate design. When I'm not creating visuals or taking photos, I like to enjoy nature and learn new things. My goal as a designer is to be people oriented and explore all creative possibilities. A successful design is one that has been thoroughly researched, inspired, and one that lasts through the test of time. 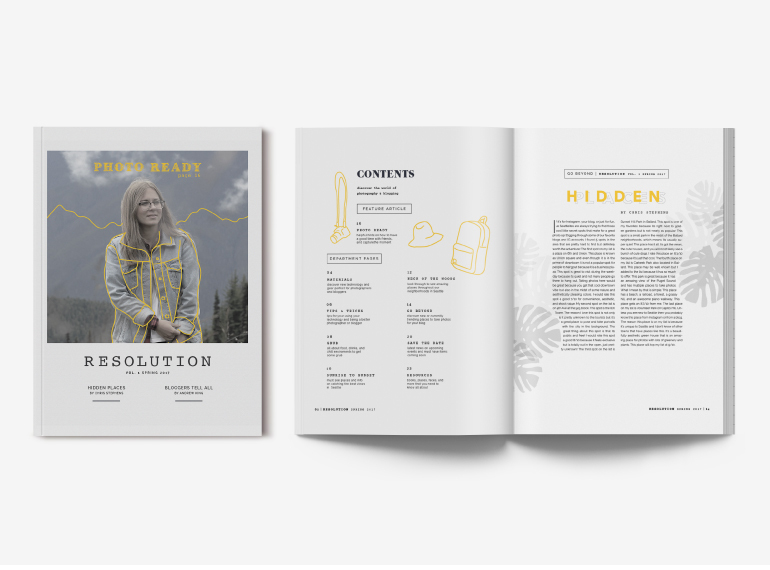 The objective of this project was to create a publication for bloggers and photographers in the Pacific Northwest. The process involved a great deal of research and sketching that lead to my final idea. I wanted to have fun with this project while including some of my stronger design skills like typography, photography, and illustration. In the end, I created this cohesive magazine that includes all of my own original work and personality. For this project, I designed the branding and packaging for a fictional food company of my choosing. The process included a lot of research on different types of packaging and competitors. 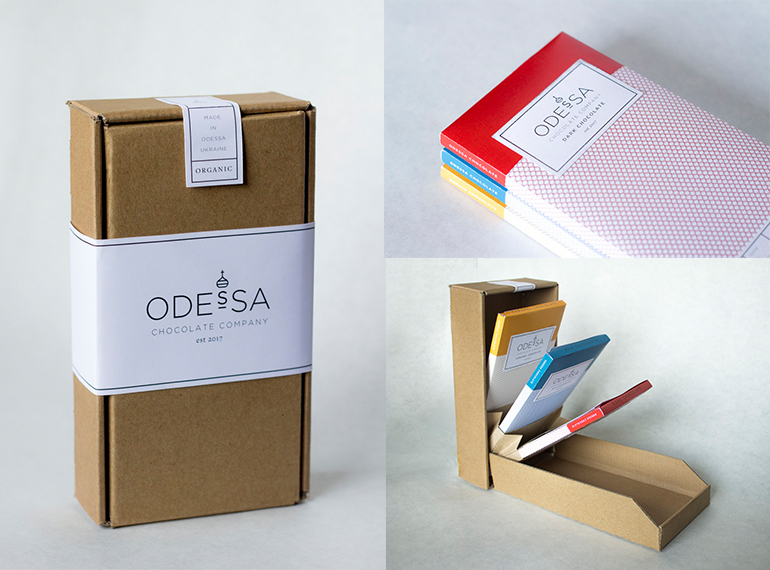 My product was inspired by a small city on the Black Sea in Ukraine called Odessa. The city is full of beautiful cathedrals which inspired the patterns, logo, and packaging box. 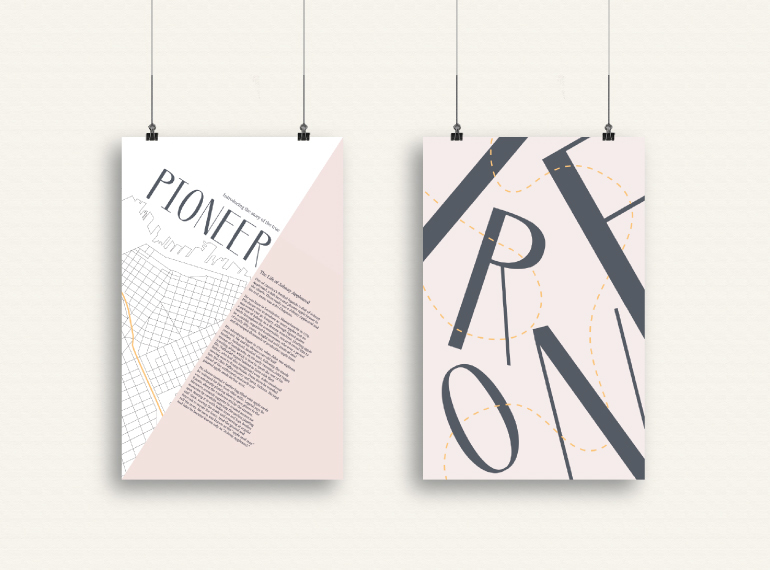 Pioneer is a typeface I designed that has influence from the modern urban explorers of Seattle. It has a high waistline, contrasting spine weight, and clean-cut terminals. This typeface was then incorporated into my urban explorer narrative and used in a poster series. This poster series shows off the typeface while bringing in a little bit of narrative.